Denmark earlier called for a new series of sanctions against Tehran, accusing the Iranian intelligence service of an alleged assassination plot on Danish soil, purportedly targeting the exiled leader of a separatist group that had carried out attacks in Iran. Iranian Foreign Minister Mohammad Javad Zarif, firing back at the EU's recent decision regarding the imposition of sanction against Tehran, which has been accused of being behind murder plots, said that sanctions "will not absolve Europe of responsibility for harbouring terrorists". Iran's foreign minister took to Twitter, where he noted that Europeans, including "Denmark, Holland & France, harbor MEK", referring to the exiled Iranian opposition group Mujaheedin-e Khalq. 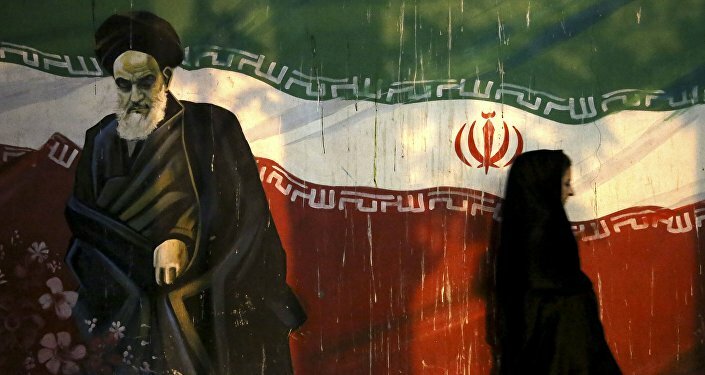 Earlier EU member states have reportedly agreed to impose sanctions against Iran’s intelligence service for its alleged assassination plots on European soil. "Important day for European Foreign Policy! Strong signal from the EU that we will not accept such behaviour in Europe", Danish Foreign Minister Anders Samuelsen wrote on Twitter. Commenting on the issue, Stef Blok, the Dutch foreign minister, and Interior Minister Kajsa Ollongren, noted that the reason for the sanctions is that Iran was allegedly involved in the politically-motivated killings. "[The General Intelligence and Security Service] has strong indications that Iran was involved in the assassinations of two Dutch nationals of Iranian origin, in Almere in 2015 and in The Hague in 2017. These individuals were opponents of the Iranian regime", Blok and Ollongren said in a letter to the president of the country’s House of Representatives. The ministers also admitted that the ongoing investigations into the alleged assassinations "have not confirmed [yet], in a criminal law sense, the intelligence that suggests interference by Iran". In November 2018, the foreign ministers of EU member countries agreed to consider the possibility of widening anti-Iranian sanctions. Previously, Denmark recalled the country's ambassador to Iran for consultations following accusations regarding the alleged murder plot. A Norwegian citizen of Iranian background was arrested in connection with the allegations. The alleged assassination plot reportedly targeted the leader of the Arab Struggle Movement for the Liberation of Ahwaz (ASMLA). Tehran has rejected all of the allegations made by the Danish Intelligence and Security Service (PET). "Such statements correspond to plans and conspiracies against strong and constantly developing Iranian-European relations in the conditions of modern serious and special conditions", Iranian Foreign Ministry spokesman Bahram Kasemi said, as quoted by IRNA.